Fifty years ago, the world was almost destroyed by a chemical war. Now the world is divided into the mutants and the pure. Mutants must fight for survival in a scarred landscape, while the privileged pure live out a life of disease-free perfection. Thirteen years ago, a covert government experimental facility was shut down and its residents killed. The secrets it held died with them. But five extraordinary kids survived. Today four teenagers are about to discover that their mutant blood brings with it special powers. They are heading straight for Mutant City with rival factions close behind. One by one, they face the enemy. Together, they must stay alive . 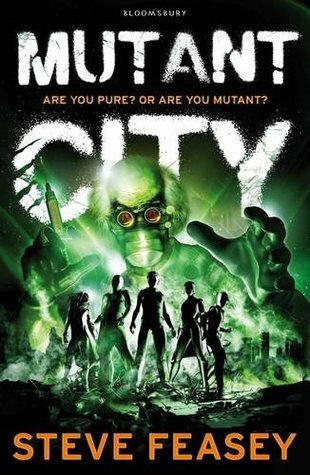 . .
Mutant City promised excitement, an apocalyptic setting, and superpowers, but it only barely delivered on two of those three things. I love stories about superpowers and mutants, and when I saw that Mutant City was coming out I just had to get my hands on it. It sounded vaguely X-Men-like, and that stuff is my jam. Unfortunately, this book lacks the excitement and thrill that I have come to expect from science fiction novels, and I was completely bored. 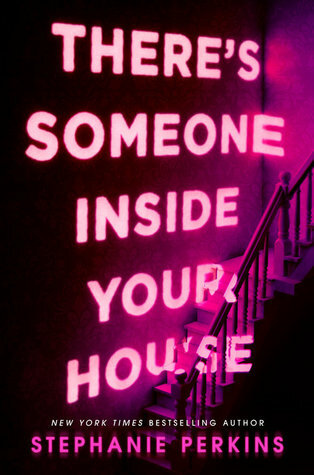 The book is told in third person, and it alternates between several different characters. I never really got the chance to get invested in any of their stories before being thrown into the next one’s, and due to that I didn’t feel a real connection to any of them. The most developed character, in my opinion, was Rush, but at the same time he went through very little growth and I didn’t like his personality as it was very bland. The other characters felt like nothing more than cardboard cutouts, and the author didn’t make use of his ensemble cast. I feel there was a lot of wasted opportunity here, which is a shame because we could have had the chance to really connect with these different personalities. The superpowers part was a bit crap as well. The characters didn’t use their powers enough for my liking – and, yes, I know they have to hide their powers – and it made for a boring read. I was expecting explosions but I was barely getting sparks. The setting was a good one – the world has been devastated by war and has left the world an apocalyptic wasteland. Through Rush and some other characters, we spent a good amount of time exploring the lands and seeing a lot of the different creatures and “citizens” of the world. Towards the end of the book I started to skim-read because I really wasn’t invested in the characters or the plot. I didn’t care about what was happening, and I just wanted to get it over with. It’s a shame because superpowers intrigue me, but when the characters are as dull as these ones it really puts a damper on the whole thing. I won’t be continuing with the series (if it is a series? I can’t even remember how it ended) because I’m just not invested at all. The only memorable character is Rush, and while I think this series has the potential to improve, I don’t want to waste my time on it when there are so many other books out there. Well that’s disappointing. To be honest, I probs wasn’t actually going to read this book anyway because the cover looks crappy, but stereotypical characters and “superheroes” not using their superpowers makes me go NOPE. On another note, on the subject of X-Men, MY GOD SO EXCITED FOR DAYS OF FUTURE PAST. It’s a shame that there was no connection with the characters. The setting sound great, but most of the times I dislike books where I don’t feel anything for the characters. On a sort of related note…do you watch Graham Norton? The last show with Hugh Jackman, James McAvoy and Fassbender was so good. It does kind of sound like an X-Men rip off… and I agree with Nara about the cover.